University Press of Mississippi, 9781628460155, 272pp. 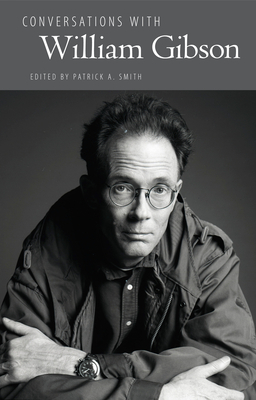 "After reading Neuromancer for the first time," literary scholar Larry McCaffery wrote, "I knew I had seen the future of science fiction] (and maybe of literature in general), and its name was William Gibson." McCaffery was right. Gibson's 1984 debut is one of the most celebrated SF novels of the last half century, and in a career spanning more than three decades, the American Canadian science fiction writer and reluctant futurist responsible for introducing "cyberspace" into the lexicon has published nine other novels. Editor Patrick A. Smith draws the twenty-three interviews in this collection from a variety of media and sources--print and online journals and fanzines, academic journals, newspapers, blogs, and podcasts. Myriad topics include Gibson's childhood in the American South and his early adulthood in Canada, with travel in Europe; his chafing against the traditional SF mold, the origins of "cyberspace," and the unintended consequences (for both the author and society) of changing the way we think about technology; the writing process and the reader's role in a new kind of fiction. Gibson (b. 1948) takes on branding and fashion, celebrity culture, social networking, the post-9/11 world, future uses of technology, and the isolation and alienation engendered by new ways of solving old problems. The conversations also provide overviews of his novels, short fiction, and nonfiction. PATRICK A. SMITH, Havana, Florida, is professor of English at Bainbridge State College in Bainbridge, Georgia. His previous books and edited collections include "The true bones of my life" Essays on the Fiction of Jim Harrison; Tim O'Brien: A Critical Companion; and Conversations with Tim O'Brien (published by University Press of Mississippi), among others.